This is what 7 1/2 months pregnant looks like.. for me anyway. Yes, I'm wearing a bra... whatever! It's no different than a bathing suit. Speaking of bras, I really need to invest in a new black strapless one. 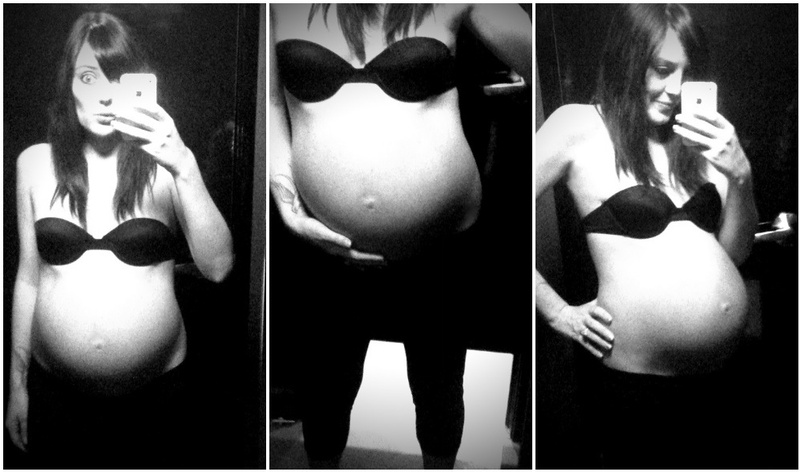 I've purchased larger bras since getting knocked up but not of the black strapless variety. This thing was killing me! Dinner last night went well. I didn't burn anything so actually I'd say it went fantastically! 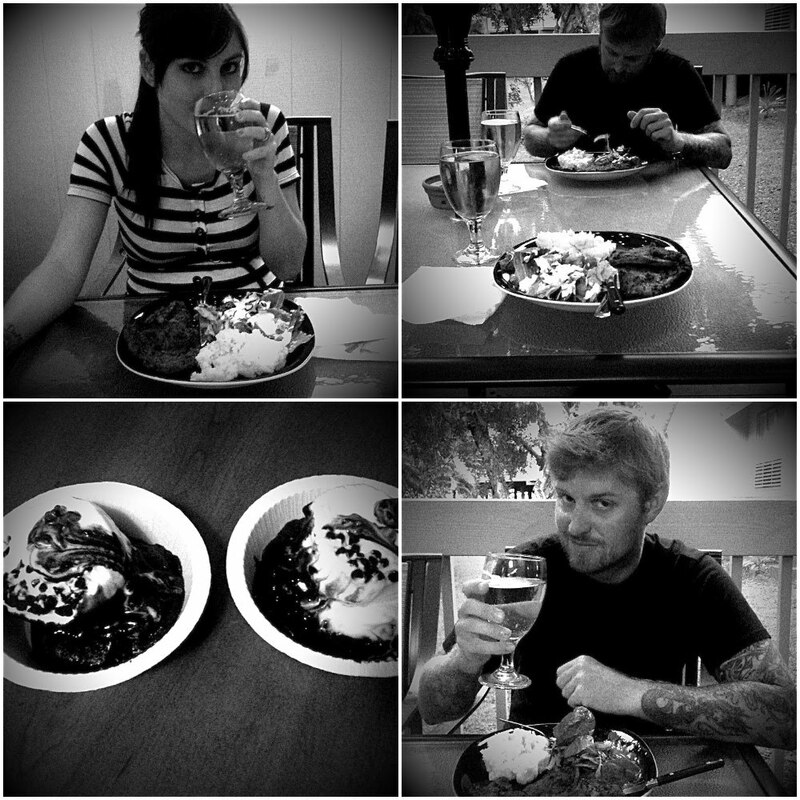 We toasted our sparkling cider "to us" and enjoyed our meal out on the balcony, complete with brownies and ice cream for dessert. I took a warm bath afterward and I seriously slept like a baby last night. I think baths might become a new part of my evening routine. Thanks Jess.. I'm so fricken scared of what's to come... I'm already so big and my skin feels so tight! I seriously don't know how the hell I'm gonna get bigger than this! EEEEEEEEEEEEEEEEEEEEEEEEEEEK! You make me wish I was preggers again. Love bare belly- its adorable. That meal looks so delish too! Love it! :) You look amazing, although I would've guessed you were 8 months or more, haha. I love baby bellies...on others. I was a miserable pregnant woman...just wanted the baby minus the pregnant. You make pregnancy look so easy and not to mention beautiful! People like you "glow"... people like me... well, we sweat! I loved how "weightless" I felt in the tub... I just couldn't get out without my hubby. Awwww oh trust me I'm usually sweatin' bullets! I love being in the water too. D had to help me out of the tub, so no baths for me without him around haha.